Customer service representatives trained to respond with kind and reassuring words can create lasting impressions. 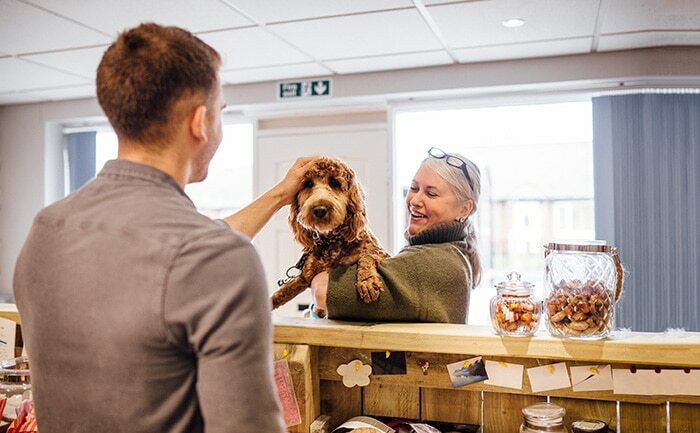 When pet owners visit a veterinary practice, their first and last interactions are typically with the front office team. Consequently, client service representatives (CSRs) need to be well-trained to create positive impressions. A pet owner’s service experience is a major factor in determining how bonded she is to the practice and how likely she is to refer others. Although most CSRs inherently know or have been told to be friendly, they often aren’t trained on how to use specific communication skills to enhance client engagement. Client engagement is about making an authentic connection with people. It’s about showing you care about the client and the bond they share with their pet. When high levels of engagement are present, client loyalty increases because pet owners can’t imagine going somewhere else — a hospital where the service might not be as exceptional. Compliments are another excellent way to connect with clients. CSRs might say, “Chloe is so beautiful. I love her markings” or “Mrs. Smith, that is a lovely scarf. The color looks great on you.” For this skill to be most effective, team members need to remember two essential elements. First, the comment must be genuine. People can spot flattery that is insincere. The second is to make eye contact. Engaging comments lose their power if a CSR is looking at the computer while speaking or is otherwise distracted. Engagement increases if the questions are inquisitive and demonstrate a genuine desire to find out more about the client or pet. This skill may come naturally to a CSR who knows a particular client. The CSR might ask pet owners about their families or jobs. Clients may experience anxiety, sadness or frustration while at the practice. Their emotions may not be related to the reason for the visit. Unfortunately, one of the most common responses of a CSR when faced with an upset client is silence because the team member is unsure what to say. CSRs trained to respond with kind and reassuring words can create lasting impressions. The best way to develop this skill is to facilitate a team meeting and discuss common scenarios. For example, a client comes in who is clearly exhausted after being up all night with a sick pet. A trained CSR might say, “Wow, so Charlie kept you up all night. I can see how tired you are. That must have been so frustrating.” Remember that making eye contact is an essential component of this skill. Conveying a desire to help tells the client that the team wants to do whatever it can to make the visit easy, efficient and enjoyable. Talk with your team about being client-focused rather than task-oriented. CSRs who focus on building relationships, rather than just completing transactions, will enhance client engagement and build loyalty. Informing the client of the specific action that will be taken to assist. Following through and keeping the client informed is paramount. 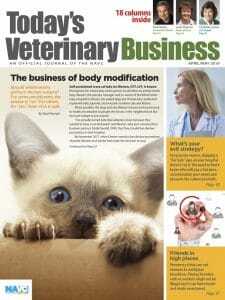 Pet owners have many choices for veterinary care and products. It’s important to remind them that your veterinary team is their No. 1 trusted adviser. You can reinforce the value of veterinary visits by forward-booking the next appointment. In addition, convey to the client that the team is always available to answer questions and provide education on all health care topics.